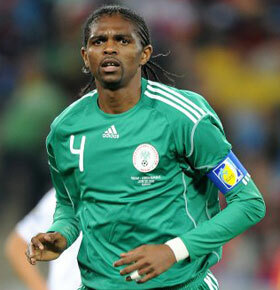 Nigerian legend Nwankwo Kanu had $11 000 stolen from his luggage in Russia as he arrived for a World Cup curtain-raiser. The former Arsenal star was in Moscow to play for for the FIFA Legends against their Russian counterparts, and reported the missing money upon arrival in Kaliningrad, where the Super Eagles open their World Cup campaign against Croatia on June 16. Russian Interior Ministry Irina Volk confirmed that two workers at the Sheremetyevo Airport had been arrested, saying: "The stolen money has been confiscated and will be returned to its owner." The FIFA Legends team won the match 6-4, with Niko Kranjcar, Nuno Gomes and Cafu each scoring a brace.